Trip participants meet and follow guide to trail head unless you choose to join shuttle. $20 additional charge for group shuttle to trailhead from Gatlinburg location. Rated: Moderate with fun creek crossings and some small trail areas. We are often asked about waterfall hikes. There are numerous ones in our National Park, but this hike is very unique. We love taking customers places they wouldnt find on their own. 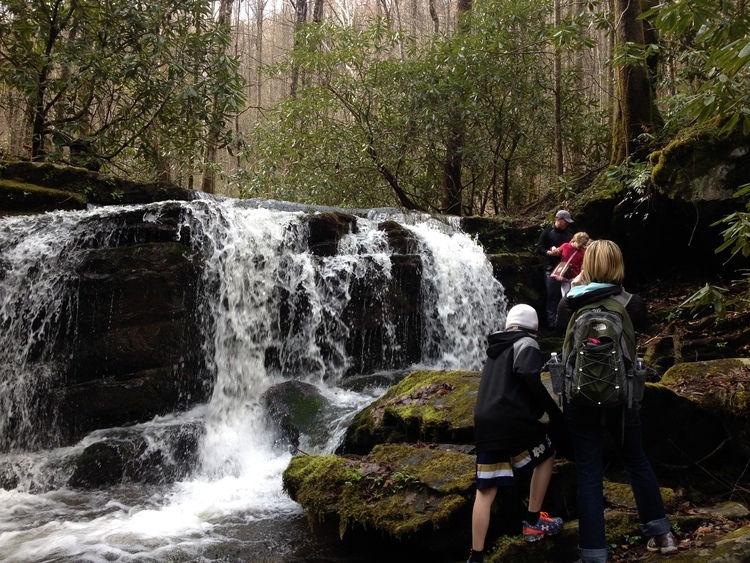 This waterfall hike is in an area that was once the location of many mountain farms and a booming community. During the 1900s, the forest began to claim the land again as the residence were moved out. We trek through the forest on a hidden trail to explore on of the jewels of the park. Passing by cascades and small pools, you soon realize why it is a customer favorite at our arrival at the numerous small waterfalls. *Additional $20 includes transportation from Gatlinburg for the entire group of participants as long as availability exists with SMG shuttle vans. *If you do not choose the shuttle option, SMG will provide you with convenient meeting location to follow your guide.